Phases—describe how your project breaks down into major activities. Phase examples include: Beginning Phase, Scoping Phase, Research Phase, Approval Phase, Design Phase, Training Phase, Maintenance Phase, etc. Goals—will represent what you are trying to accomplish with your project. Goals can vary according to the project, the phase of the project, and many other factors. Some typical goals revolve around time, revenue, quality, staffing, growth, product or service launch, technology, maintenance, or training. People—list the individuals or groups who might provide resources or support to your project. People can be easily imported from Outlook and Act!. Obstacles—obstacles and issues are an inevitable part of projects. If you can foresee the challenges, you can plan for them and, likely, overcome them. Obstacles, like goals, will obviously vary from project to project. Individual Assignments—it's easy to manage your ongoing project with individual assignments for clear accountability and efficient use of time. As a busy professional, you know that staying on top of your projects to make them successful is job one. 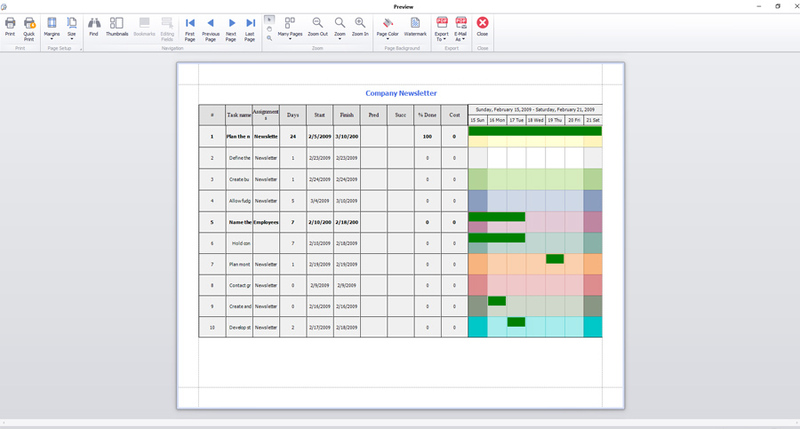 With Project KickStart's dashboard reports, it's easy to stay up to date and keep all your coworkers on the same page. What's Due Today?—Use this report daily and you'll keep on top like never before. 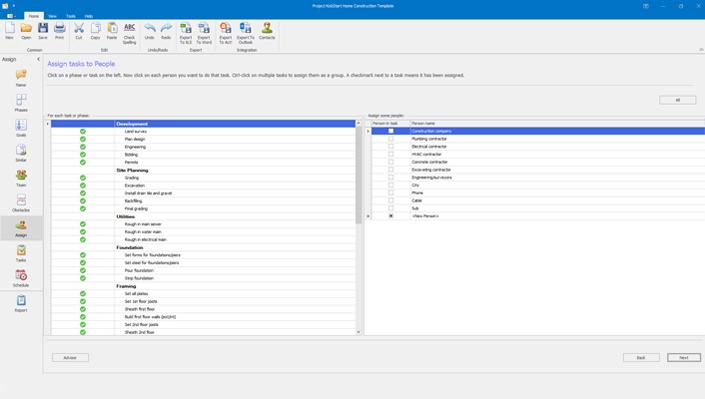 Easily see tasks that are starting or ending today, along with % complete and cost on a line item and total basis. 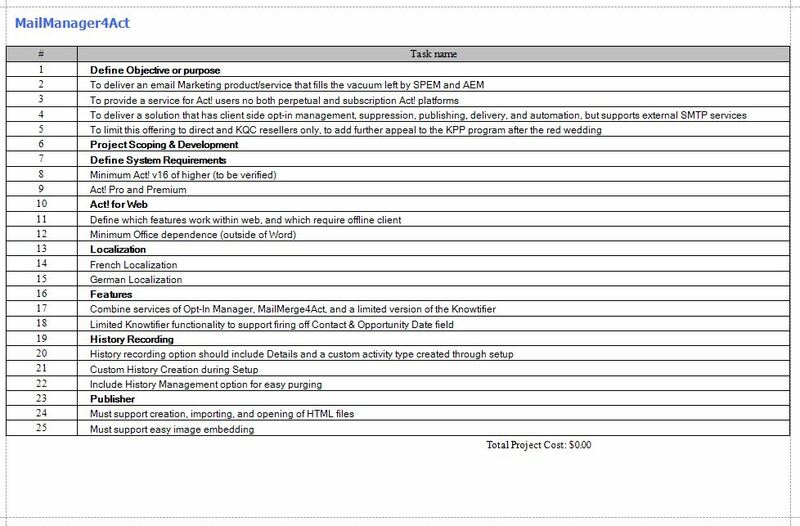 What's Due Next Week?—use Print this out for your team meetings or for yourself every Friday to review what tasks need to get done to keep the project on time and within budget. What's Due Next Month?—You, your manager, or other team members need to also look at the big picture to help keep your project running smoothly. Look no further than this report to help get all your ducks in a row for every project. Why keep information locked in one program? Share it! 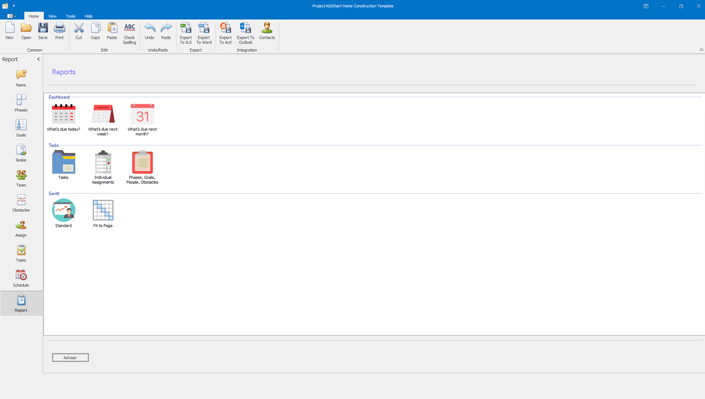 Project KickStart exports directly to a variety of programs: Outlook, Excel, Word, and Act!. Interoperability with other software make the possibilities limitless. Download our Free Trial and see how easy it is.